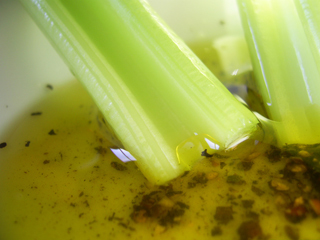 We all know that olive oil is good for you, but it’s easy to get stuck in the salad dressing rut. Here are a few really simple ideas for how to use olive oil as a ‘finishing oil’ to flavour your food. Of course when olive oil is being used as a principal ingredient, ideally you should use the best you can afford. Good old bread. The ‘comfortable slippers’ of food. 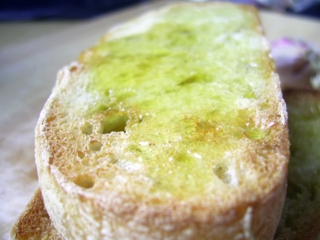 Slice up some crusty bread and toast it, (on a fireplace or barbeque if possible), sprinkle with salt and drizzle with olive oil. You can rub the toasted bread with a clove of garlic as well, if you like. This makes a great simple starter. For the most simple Panzanella, chop some tomatoes and add salt, pepper and finely chopped fresh basil. Add a good glug of olive oil and mix everything together. 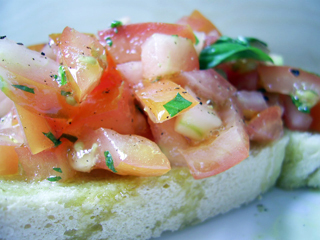 Serve as is, or on Bruschetta. The perfect summer salad – sliced tomatoes and sliced Mozzerella. 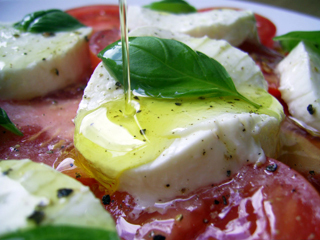 Lay the Mozzerella on the tomatoes, season with salt and pepper, add some fresh basil leaves and drizzle over the olive oil. Easily done on a BBQ, but also possible on a hob, heat some bell peppers until the skin turns black all over and the peppers become soft. Wait for them to cool and then peel the skin and remove the seeds. 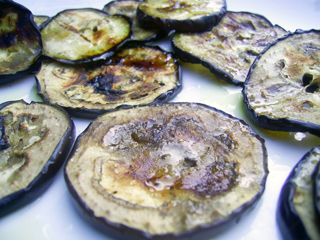 Season with salt and pour over the olive oil, and eat as a salad. If you have leftovers the next day (not very likely), eat in a ciabatta with some creamy gorgonzola. This ultra-simple olive oil dip originated in Rome. Simply mix olive oil, salt and pepper to taste and ‘scoop’ it up with whatever sliced raw vegetables take your fancy. We prefer celery, but you can also use carrots, bell peppers, fennel and courgettes. 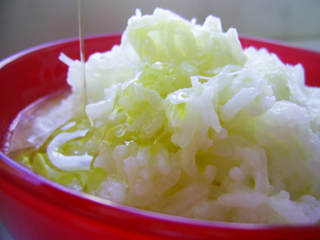 Cook the rice as usual, but save a little of the cooking water to make the rice a bit more ‘soupy’. Mix in a good amount of parmesan and olive oil, and a little salt. Comforting stuff. 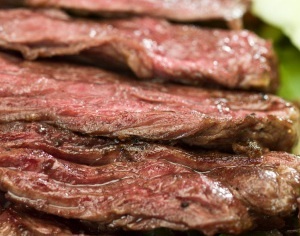 A touch of olive oil adds a little something to a cooked steak. 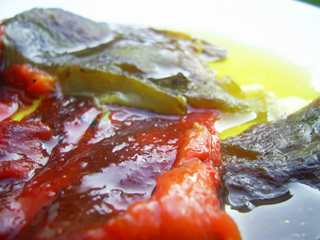 Like salad, some vegetables just cry out for a bit of olive oil. 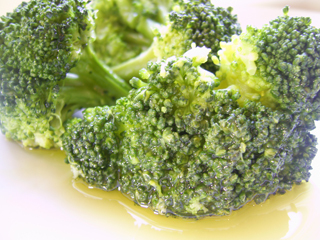 Broccoli, cauliflower and swiss chard are just a few types of veg that will appreciate a splash of olive oil, post-cooking. 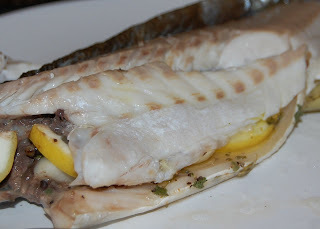 Olive oil loves ‘meaty’ fish, such as Swordfish, Monkfish, Seabass and Bream. As a seafood lover, a drizzle of oil over cooked fish can really help to bring out the flavours, as well as giving it a lovely golden shine. And a bonus… ice cream! We didn’t believe it either, at first. Apparently the best thing for Vanilla ice cream is not a Flake, but a drizzle of olive oil, and a sprinkling of rock salt. 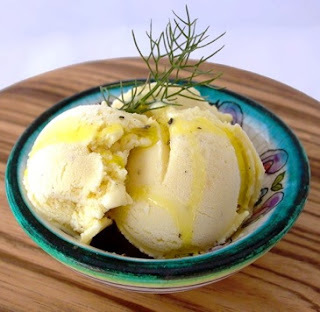 You can even make olive oil ice cream.